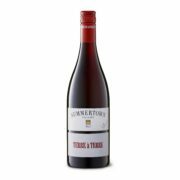 The 2014 versions of James Halliday’s annual publication, The Australian Wine Companion, has been released with Terre à Terre performing exceptionally well. Once again Terre à Terre has received 5 red stars marking it as an “Outstanding” producer. 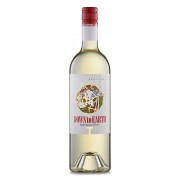 Pale straw-green; an intense, focused wine fermented in French oak barrels of various sizes and ages, purely a means of investing the wine with its extra structural dimensions and in no way inhibiting the display of lychee and ripe citrus/pineapple fruit. Top tier stuff. Bright straw-green; continuing Terre à Terre’s tradition of exceptionally complex sauvignon blanc in a white Bordeaux mould; fermented in six 600-litre French oak casks plus 14 used barriques, and matured in those vessels for seven months, with three months of lees stirring. Literally coats the mouth, but is not phenolic, just long and luscious. Bright, clear crimson-purple; uses the unusual sequencing and winemaking steps of Terre à Terre: open-fermented and macerated for three weeks, then taken to four-year-old French barriques for mlf and 13 months maturation, finally racked to a near-new 4000-litre French oak vat for a final eight months, and bottled early Feb ’12. 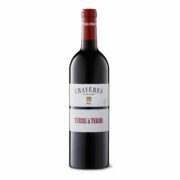 It is decidedly French (Bordeaux) in style, with persistent and firm tannins running through the long cassis-accented palate. Will richly repay patience. 300 dozen made. 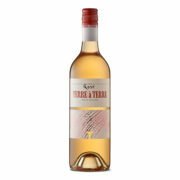 Bright, light pink; while there is only 5% botrytis, its six months in used oak at low temperature has brought out a range of flavours from pear to nougat not often seen. 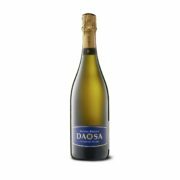 Pale straw-green, good mousse; from the Daosa Vineyard in the Adelaide Hills at an elevation of 550m; after primary fermentation and nine months’ maturation in used French oak barriques, it was tiraged and kept on lees for 30 months. It is delicately structured, with a very low dosage of 5g/l; the flavours of citrus and apple are enhanced by the crisp, dry finish.